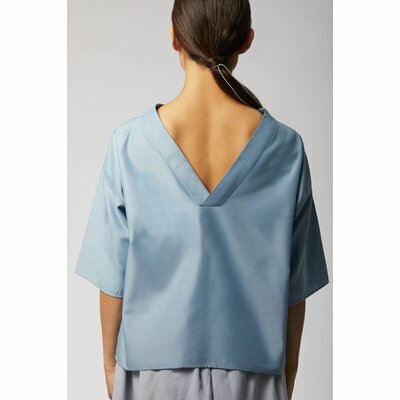 Light blue shirt with elegant neckline . 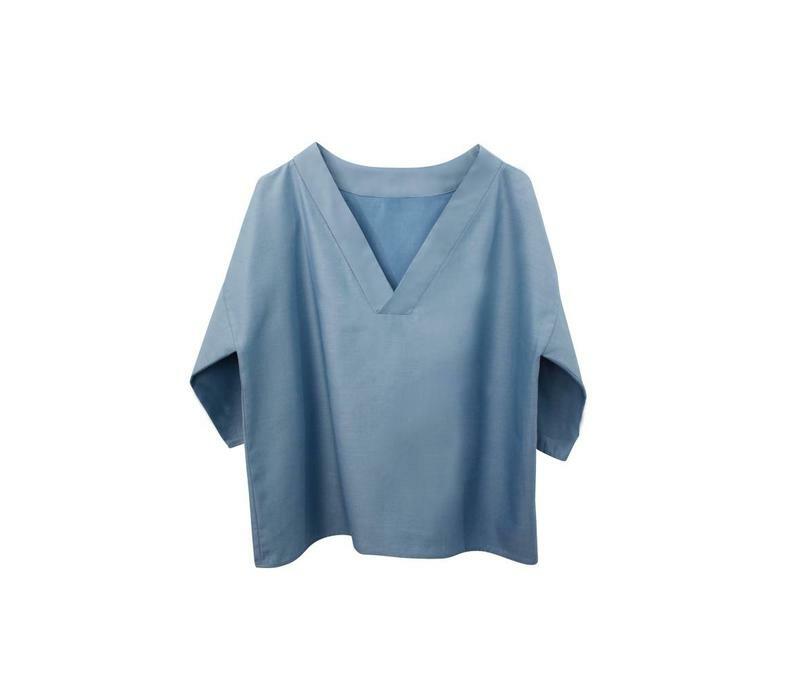 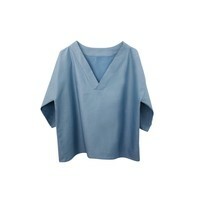 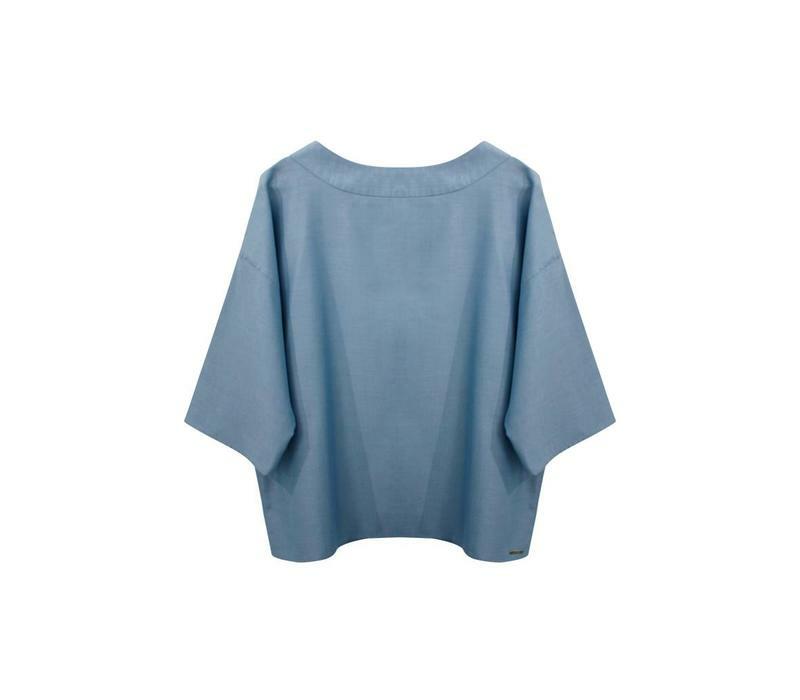 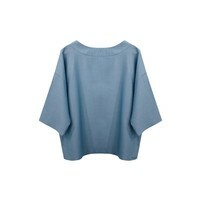 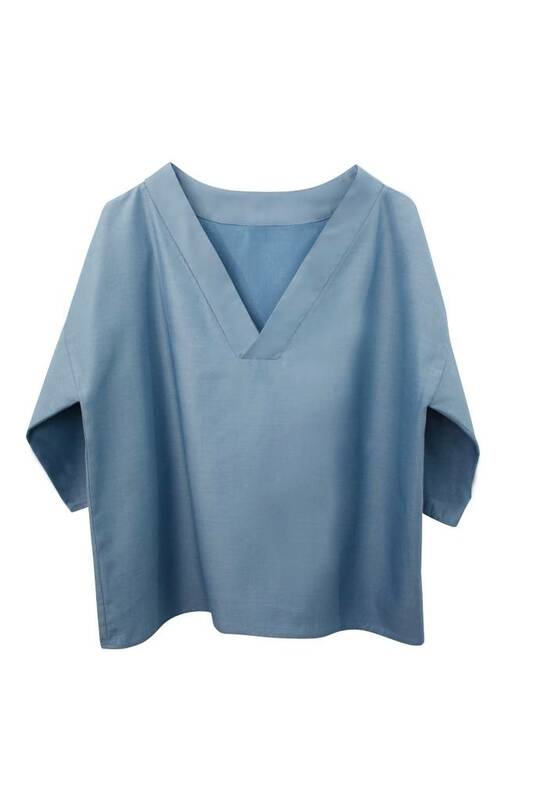 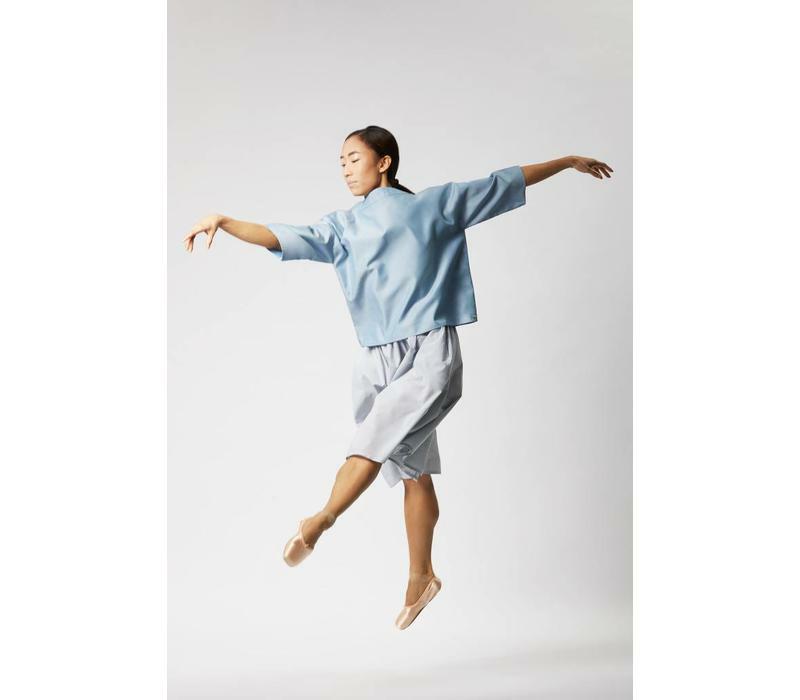 The shirt in soft blue is made of a mix of certified Tencel ® and organic cotton . 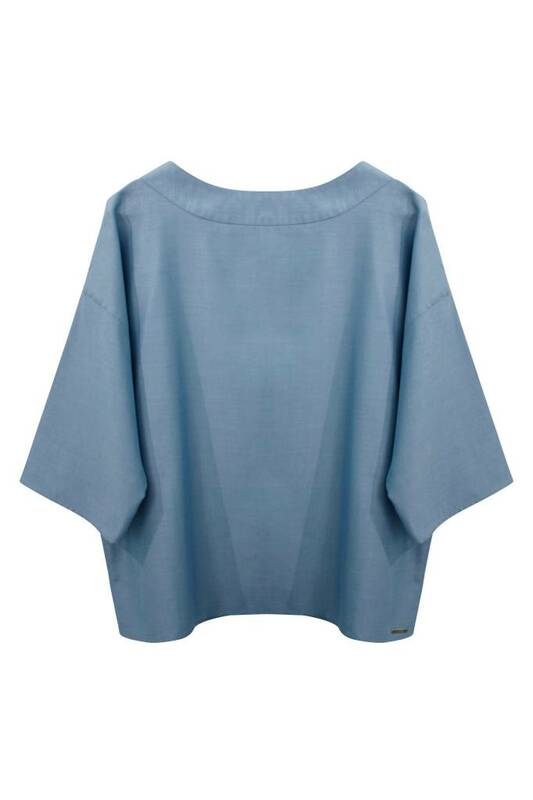 The classic silhouette and the straight cut casually flatter any type of fireball . 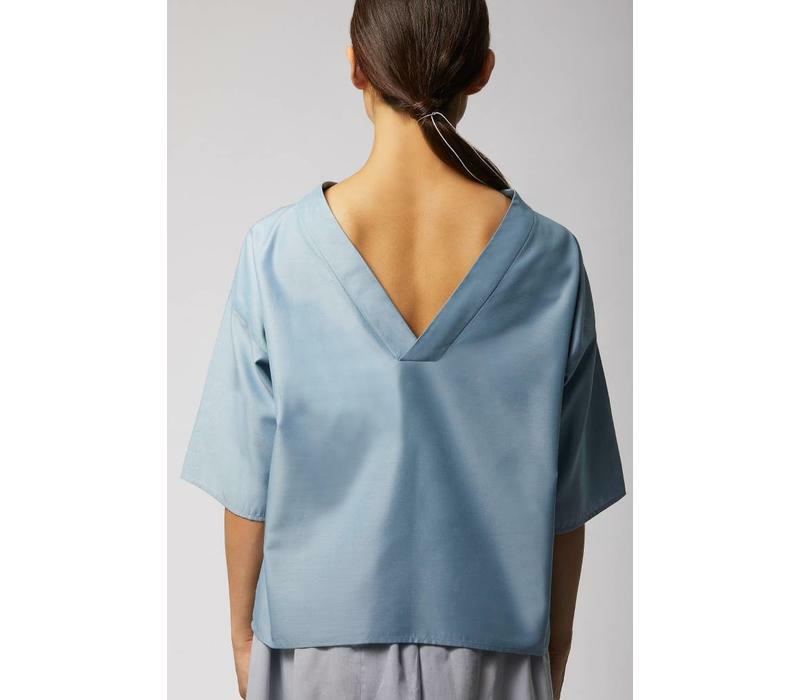 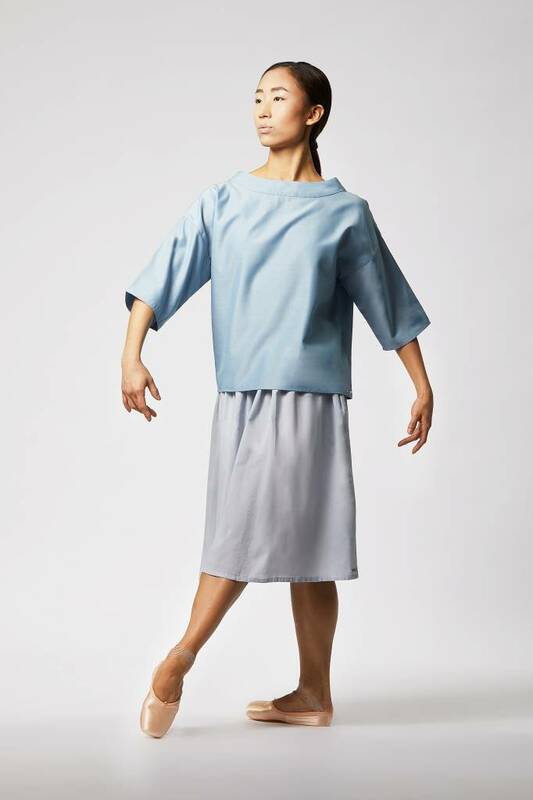 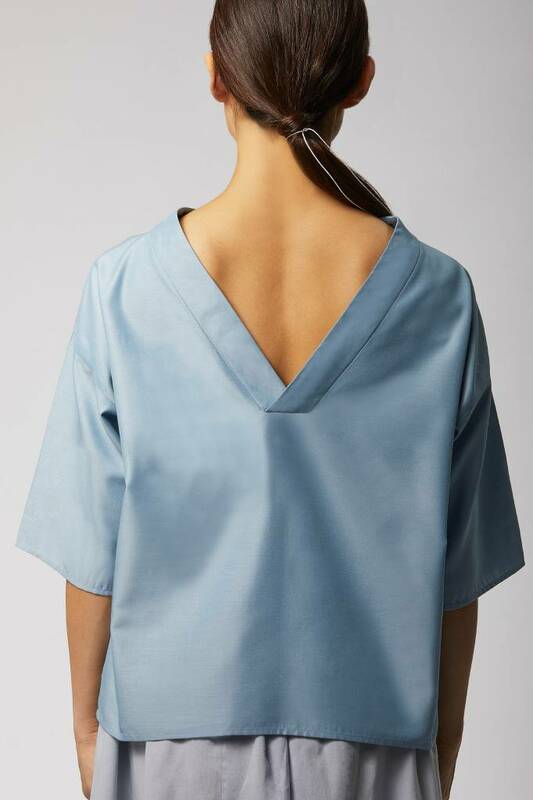 The simple elegance of the light blue top , as well as its special V-shaped back cut make it a perfect companion in the office, as a business outfit, but also to a very elegant evening wear combined with classic trousers or a summery skirt.